birthday parties, corporate events, weddings? Inspired by Divine Chaos, a world-renowned improvisation skirt troupe from Arizona, Dark Moon Dance Collective is a diverse group of women who came together for the pure love and passion for a dance that speaks to their souls. 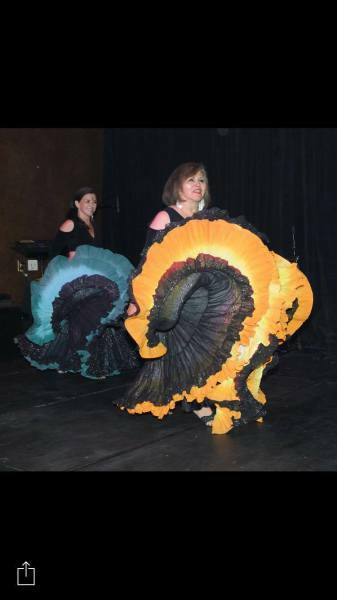 They are innovators in Las Vegas of this beautiful style based on dance moves driven by cues and two 25-yard skirts giving off a fiery latin feel! They are available for private events, parties, festivals and quinceaneras. 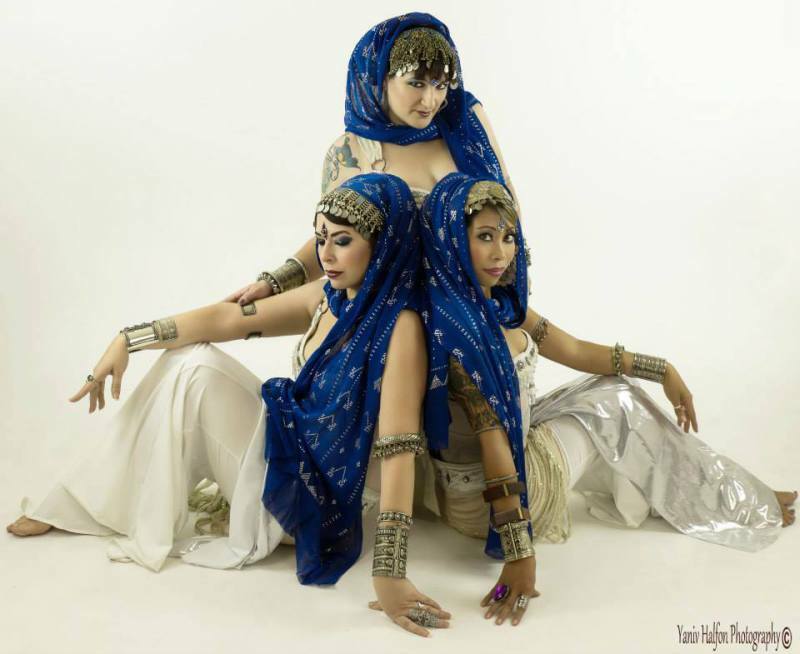 Desert Gypsies was formed in 2010, and began their professional career in 2012. Since then, Desert Gypsies have performed at dozens of venues and for a wide variety of audiences, including community centers, senior living centers, community events, libraries, elementary schools, churches, and restaurants. Because Desert Gypsies is a family troupe, they cannot perform at adult-only venues or events. Their dance is grounded in Middle Eastern music and movements but they also incorporate Spanish Gypsy, flamenco, and Mediterranean music, dance, and costuming in their repertoire. They performed for events as varied as birthdays, Cinco de Mayo, Mardi Gras, Father's Day, Halloween, and Christmas. Check them out at www.desertgypsiesnv.blogspot.com and see for yourself! Lady is a multifaceted dancer with a unique talent to delight her audience with elegance, excitement and the beauty of Oriental Dance. She performs various middle eastern styles, Bollywood, Latin rhythms, as well as being a fire dancer. Lady began dancing at a very young age studying jazz, ballet, and folklore dance in her home country, South America. 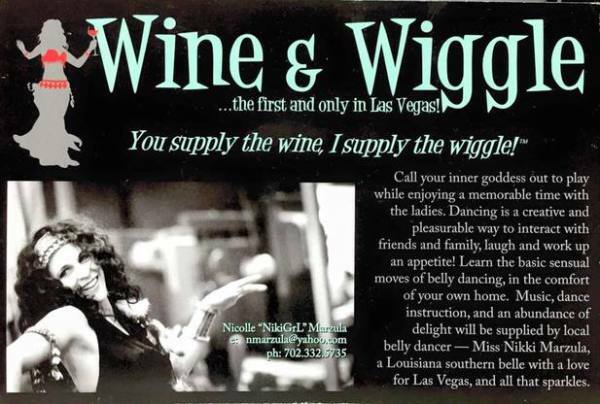 Nikki will supply the music, dance instruction, and an abundance of delight! Learn the basic sensual moves of bellydance, in the comfort of your own home. Mylissa is Ansuya certified and a theater graduate of Las Vegas Academy. She found her true life passion, Middle Eastern Dance, when she took class with Angela Palmeri-Davis. She then danced with Ah Ya Helu; under the direction of Ashtalea for about 10 years. 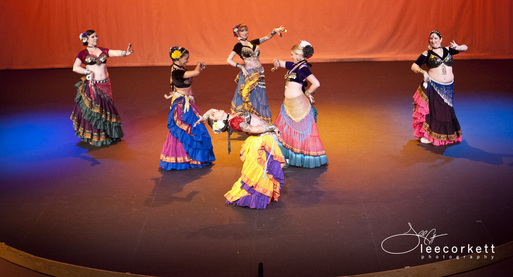 The troupe performed on the west coast at many bellydance conventions and events. She has since been honored to dance with Arabesque and Aradia and the RA Dancers Reloaded. Mylissa has traveled as a solo performer for music videos and television, with award winning troupe Cabernet Dance Company, and was asked to perform in Africa for singer Hisham El Hajj. While working closely with the Arabic community, performing and producing shows at The Olive Mediterranean and co-producer/director of VegasRaqs, she highlights local talent and raises awareness of this ancient and empowering art form. Carolena Nericcio, Sadie, and many, many more. In 2012, Sudaa’ Nar Fire Tribe began incorporating fire elements into their dance routines. Since then, Sudaa’ Nar has had the privilege to perform at events such as the Las Vegas Age of Chivalry Renaissance Festival, London Bridge Renaissance Faire in Lake Havasu City, ULLR Festival in Brian Head, Utah, First Friday Downtown Las Vegas, and many more. 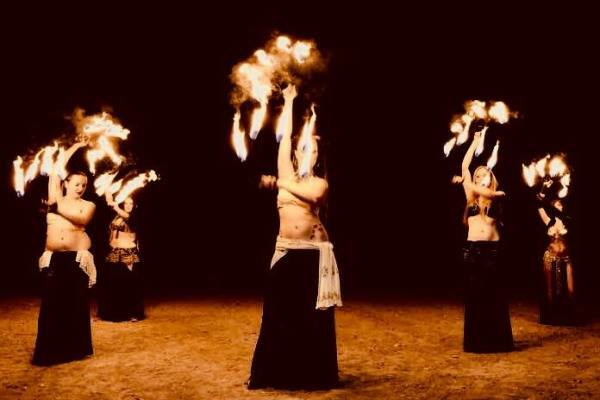 Sudaa’ Nar specializes in fire and LED elements combined with cabaret, burlesque, and fusion. TABU is Inara, Raven & Chruszhet. Edgy, innovate and playful...mixing cabaret, tribal, dark fusion, folkloric, urban and their trademark robot zombie funk. Tabu pushes the traditional boundaries in challenging new directions, demonstrating that what happens in Vegas doesn't always stay in Vegas. Born in Kazakhstan, Zhanna has been surrounded with and mesmerized by the Middle Eastern culture. Beginning at the age of 7, Zhanna began learning Kazakh folkloric dance. After finishing an MBA in Marketing, Zhanna moved to Las Vegas in 2004, where she continued her training in oriental dance. Zhanna has been studying with Aradia of Las Vegas, and many other istructors both locally and nationally, she’s been travelling regularly to Egypt to study Middle Eastern culture and different styles of authentic Egyptian dance. Zhanna strives to perfect her dance, she keeps studying and polishing her skills. Her style is elegant and “classy”, her movements mesmerize her audiences and perfectly express the essence of the music she loves. Zhanna most recently won the 2016 Belly Dancer of the Year award! !